The Bauhaus is an outstanding example of the Modern Movement, which revolutionized artistic and architectural thinking and practice in the 20th century, and in particular of the progressive architectural concepts of the Jugendstil. In 1919 the Schools of Art and of Applied Arts of the Grand Duchy of Saxony were combined to form the State Bauhaus of Weimar. The building of the former had been constructed in two phases, in 1904 and 1911, to the designs of Henry van de Velde (1863-1957), replacing the original structure of 1860. The new building is representative of the progressive architectural concepts of the Jugendstil, in the transitional phase between Historicism and Modernism. The building was decorated with murals painted by Herbert Beyer in 1923 following the internationally famous Bauhaus exhibition. Van de Velde was responsible for the design of the former School of Applied Arts (1905-6), also in the Jugendstil tradition. Oskar Schlemmer added wall sculptures in 1923, which had disappeared but have been replaced by copies. Was the Bauhaus movement important? Yes. In fact, I dare say I like most of the things with a Bauhaus design. 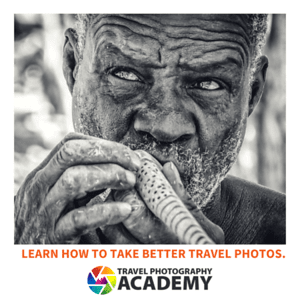 That, however, does not mean it was easy to take photos of this site. The locations for the UNESCO sites are divided between Weimar and Dessau. 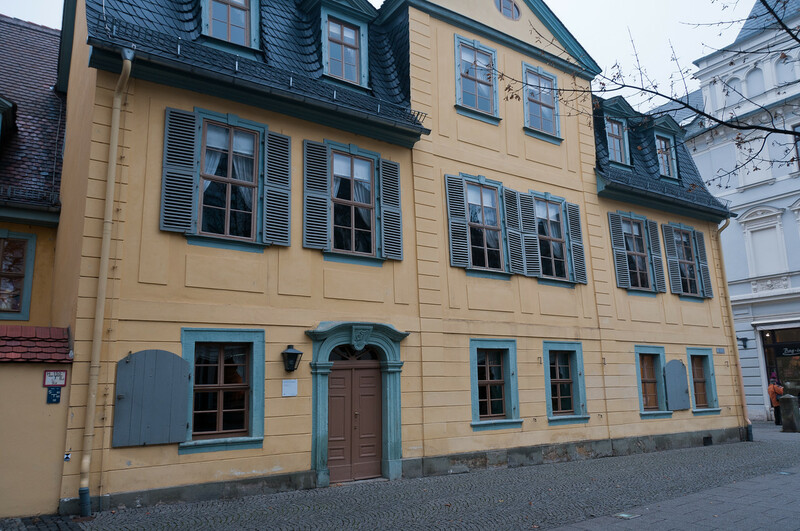 I visited them in Weimar. While the Bauhaus movement was started in Weimar, and Bauhaus University is currently in Weimar, that doesn’t mean there is a lot to see. 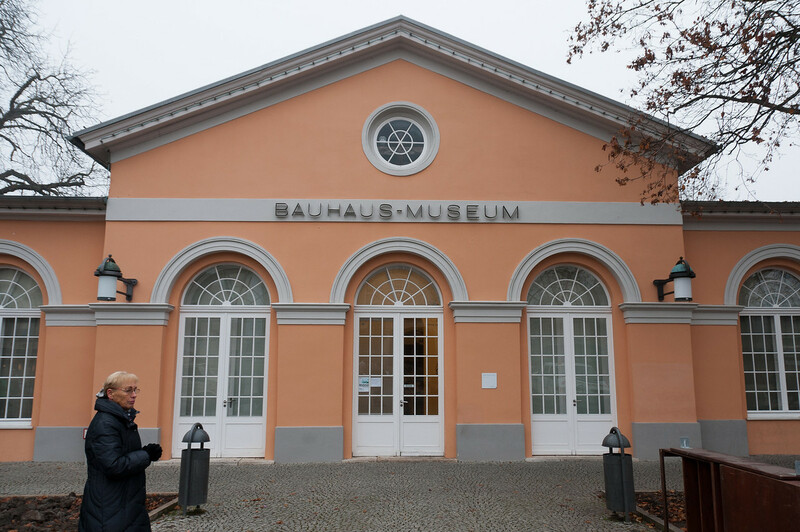 There is a Bauhaus museum in the city center, but that isn’t technically part of the UNESCO site. The university building itself isn’t that special. If you pop your head inside, however, you can see some great design work inside. The photo above is from the main stairwell in the main building at the University. The Bauhaus and its Sites in Weimar and Dessau is a collection of prominent buildings and structures that represent the Bauhaus art movement. In particular, these sites have a link to the Bauhaus architectural school that was prominent in Germany from 1919 to 1933. This art movement created major influence in the architectural landscape not just of Germany, but all over the world. The Bauhaus architectural designs are widespread in Germany and in various parts of the world. 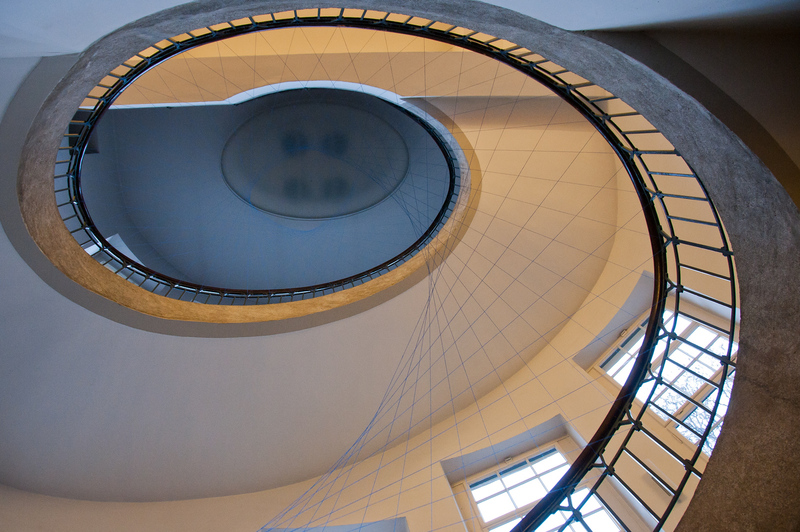 For this reason, the Bauhaus and its Sites in Weimar and Dessau earned the recognition as one of the cultural UNESCO World Heritage Sites in Germany. It showcases how an educational structure and movement can impact the cultural and architectural landscape of a city. They were recognized by UNESCO IN 1996. The Bauhaus School revolutionized an art and architecture movement during the 20th century. This school was founded by Walter Gropius in 1919. There are several components to this institution, which included the Art School, the Haus am Horn and the Applied Art School. The design for these art schools themselves was a work of Henry van de Velde, who is a Belgian architect. Meanwhile, the Haus am Horn was the first practical application of the Bauhaus concept as this building was designed to be a single family settlement plan. Despite the significant impact of the Bauhaus movement in Weimar, political pressure forced the movement out of the city in 1925. From Weimar, this movement was introduced in Dessau. This signaled the second successful phase of the Bauhaus movement in Germany. Hannes Meyer and Ludwig Mies van der Rohe were crucial figures in the spread of the Bauhaus movement in Dessau. In 2017, the UNESCO World Heritage Site listing for the Bauhaus and its Sites in Weimar and Dessau were extended. The properties included in the extension were the five houses with balcony access in Dessau, together with the ADGB Trade Union School in Bernau. 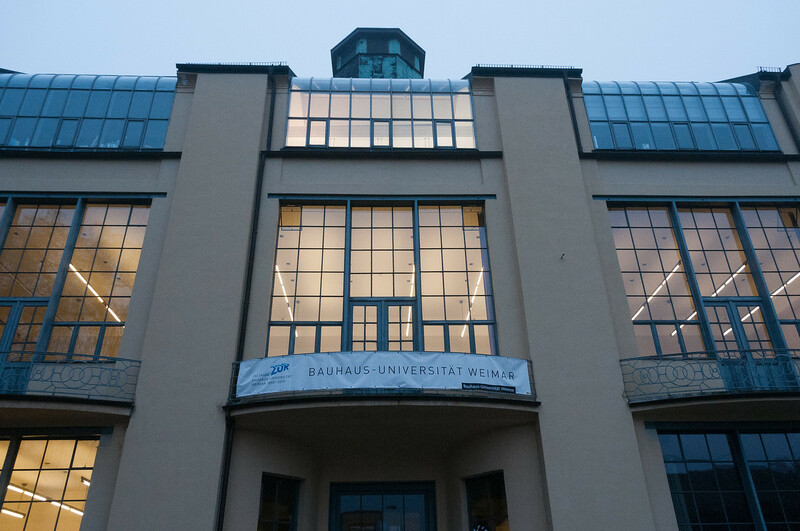 It has been over 7 decades since the Bauhaus and its Sites in Weimar and Dessau were recognized by UNESCO from the time that the schools were established. Today, the majority of the original buildings within this protected area has survived, along with the museums and exhibitions that depict the prominence of the Bauhaus movement in Germany. Even though it has been many decades since the Bauhaus movement was innovated, it still remains fresh and modern by today’s standard. The decision by UNESCO to name this site of cultural heritage is therefore important until today because the school’s idea of establishing a “new architecture” set the standard for architecture that would last even for nearly a century after it was established. Wow, what an incredible capture!